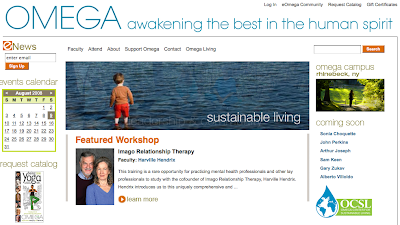 Tomorrow I'll be leaving at 6 AM to ride my bike up to the Omega Institute. I'm so excited. I'm partially excited because it's a vacation, because I'm riding there (which I've wanted to do the past 3 years but always got talked out of it) and because I really need Omega this year. He not only a master drummer, he is without doubt, the single best teacher I have ever known. It's not his ability to impart knowledge of drumming, it's his ability to reach all the students, to do it with humor and understanding, and an unfailing patience as 100 students sit banging on drums in a room. I really feel like I learn more about life by taking his class than I even learn about drumming. I am thinking about buying a video camera today so I can record some of the sessions. So looking forward to more riding, looking forward to learning, looking forward to healing. P.S. If you don't know, I got a bit of an abnormal mammogram. I'm trying desperately to not worry in advance, but two doctors called for a biopsy. I hate needles, and I especially hate, cringe, loathe, detest, am scared shitless about having them inserted into my breast, all the while trying not to think of the 'c' word. I know I have a much better shot at this NOT being cancer or precancer. Yeah, let's go with that. On to Omega. I'm going to try to get pics up while I'm gone, don't know how it'll work. I may also unplug entirely and just live in the moment. We'll see what strikes me.